Equipment for irrigation systems and water treatment. Drip and sprinkler irrigation kits for irrigation, ranging from small to the largest irrigated area. Greenhouses. Industrial tunnel greenhouses TEDEN. Cluster greenhouse projects. Nethausy (House of the grid). Fertigation systems - equipment for fertilizing plants with irrigation water. Mortar knots. Fertigation nodes of various capacities designed and manufactured by our company. Control and automation systems for various agricultural technologies and processes. 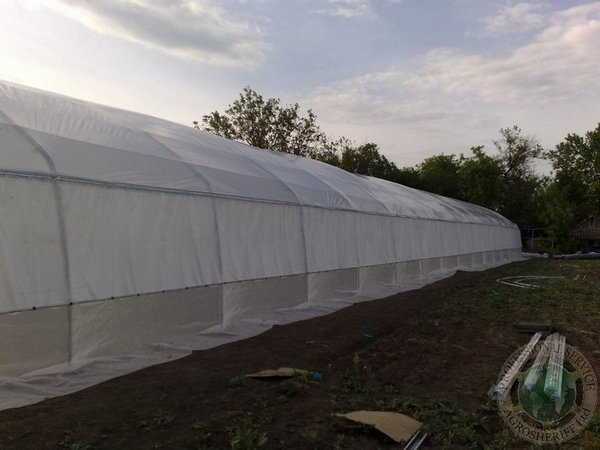 Equipment for new and reconstructed greenhouses. Business consulting for agricultural enterprises and farms. Development of economic, business and marketing strategy of the enterprise. Farming strategy. Technological consulting on the introduction of modern technologies, equipment and agricultural technology. Technical and agrotechnological long-term support for our clients and customers. Other services in the field of agriculture. You can order products and services through our CONTACT FORM . After receiving the request, our specialists will contact you to clarify details and details. Large or complex deliveries, including deliveries of equipment for projects, are carried out on the basis of a contract concluded with the customer. When concluding a contract for the supply of goods, it specifies in detail all the details of a particular order, deadlines and cost. All goods are delivered in accordance with the agreed nomenclature and quantity, determined by the Delivery Contract within the framework and in accordance with the current legislation of the customer’s country and Israel. We do not supply goods prohibited or restricted by law. When ordering through and internet store , order value is calculated automatically and is included in the total price of the order. The terms and conditions of payment under the Contracts are determined and agreed with the customer in each individual case, for each specific delivery on the basis of the Contract and the specification for delivery . Please send a request for the ordered service through our CONTACT FORM . At the conclusion of the Contract for the provision of services, it specifies in detail all the details of a particular order, deadlines and cost. All services are provided within the framework and in accordance with the current legislation of the country of the customer and Israel. We do not provide services prohibited or restricted by law. At the preliminary stage of approval, we can provide the customer with an estimated cost based on the cost of similar services provided to other customers. The cost of the list of services ordered is agreed on a case-by-case basis, taking into account the conditions and all the features of the service. Terms and conditions of payment are agreed with the customer in each individual case, for each specific project or order of services, on the basis of the Contract . We guarantee complete confidentiality to our customers and partners. This applies to all types of information related to business and commercial secrets, secret negotiations, etc. The contract for the provision of services may be subject to additional confidentiality terms.